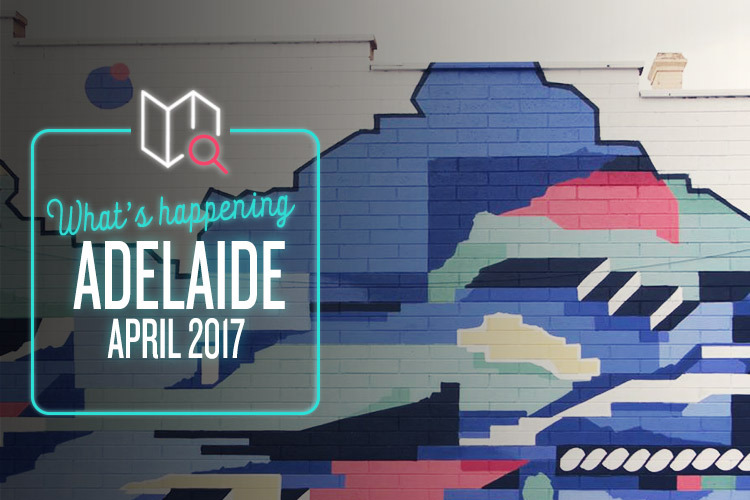 From wine valley festivals to cutting-edge street art, Adelaide’s got all sorts of lovely things lined up for us this month. Endless vendors, incredible cosplay, and a galaxy of stars ready to chat and sign autographs. Yep! It’s your average Tuesday at the True Local office. Nah, just kidding. It is, of course, the annual Oz Comic Con, and it’s a bright and colourful blow-out of all things pop culture. Guests include Brent Spiner, Melissa Joan Hart, Tricia Helfer and Jason Momoa, as well as writers and artists such as Queenie Chan, Stewart McKenny and Nicola Scott. There’s also gaming (tabletop and video), the new Anime Station, loads of workshops, and various after-hours events occurring throughout the city. The Barossa Valley is one of the country’s most famous winemaking regions, and many consider it the pride and joy of South Australia. It’s especially great from the 19th to the 23rd of April, when the annual Barossa Vintage Festival sweeps through the rolling plains and idyllic towns. It’s a fabulous celebration of Barossan culture, incorporating the music, arts, natural beauty, rich cuisine and swanky booze that makes the place so charming. This year is the 70th edition of the festival, so there’s a few extra-special treats lined up as well. It’s about an hour’s drive from Adelaide, but it’s absolutely worth it. Wonderwalls is “a celebration of art in large scale”, and involves 20 of Port Adelaide’s walls being transformed into stunning murals by a team of local artists. This year’s line-up includes Amanda Lynn, Jake Logos, Telmo Miel, Kab 101, Natalia Rak, and Masika 126, and it promises to be a spectacular display of the city’s creativity. In addition to the main event, there’s also an opening-night exhibition, a party on Mundy Street, talks from the artists, and another street party just for good measure. Ooh, Lego! You might grow out of dolls, toy cars and hula hoops (and whatever else you played with in your idyllic childhood), but nobody ever quite drops the urge to mess around with those wonderful little coloured bricks. Brick-a-Laide is one of the top family events on the Adelaide calendar, flooding the Convention Centre with incredible constructs and awesome activities. Marvel at the intricate models, try your hand at stop-motion animation, chill out in the Brick Cafe, and let your imagination run wild at the brick-strewn play tables. Bliss!